Since then, the subject of dark data has been covered by CIO.com (The Dangers of Dark Data), Forbes (Factories of the Future), and VentureBeat (Are you afraid of the dark data?). VentureBeat points to the cause of the problem, "
Also identify "know issues" with the data source. This can be measures of data quality, information on how the data is sourced, and other feedback that might undermine any analysis of the data. For additional insights,see my post 10 Attributes of Data Driven Organizations. 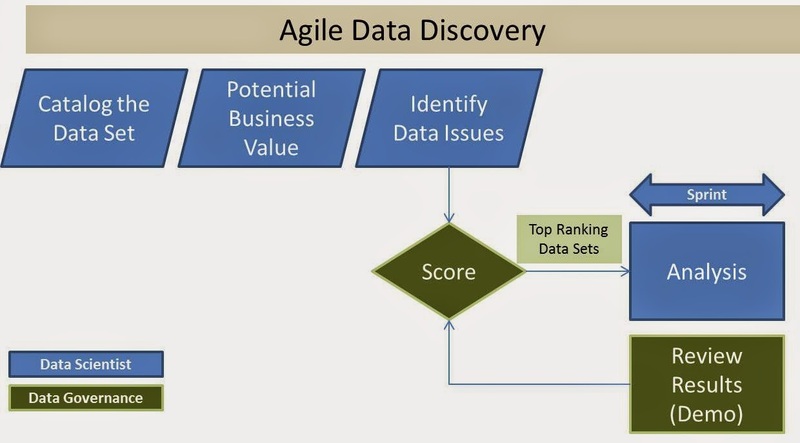 It is refreshing to see an agile approach applied to Analytics in particular Dark Data. The amount of data and the lack of clarity of where to start make an agile approach the best method to maximize benefit and minimize risk.